Spanning seven continents, Wild Land showcases a unique journey to document and protect the last untouched expanses of wilderness. 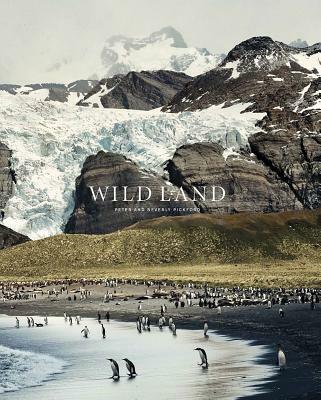 In more than two hundred awe-inspiring images, renowned wildlife photographers Peter and Beverly Pickford portray the epic visual story of some of the most remote and pristine places on the planet, from Africa's savannas to Tibet's highest peaks, Alaska's expansive system of rivers and lakes, to the Antarctic Ocean. This book about wild land and wildlife is also the fascinating tale of the Pickford's own adventures once they chose to devote their lives to the search for untouched wilderness areas. Most of all, this unique book also expresses the timely and urgent message to protect wilderness areas for future generations and for the future of our planet. Spanning seven continents, Wild Land showcases a unique journey to document and protect the last untouched expanses of wilderness. In more than two hundred awe-inspiring images, renowned wildlife photographers Peter and Beverly Pickford portray the epic visual story of some of the most remote and pristine places on the planet, from Africa's savannahs to Tibet's highest peaks, Alaska's expansive system of rivers and lakes, to the Antarctic Ocean. This book about wild land and wildlife is also the fascinating tale of the Pickford's own adventures once they chose to devote their lives to the search for untouched wilderness areas. And most of all, this unique book also expresses the timely and urgent message to protect wilderness areas for future generations and for the future of our planet.